General Rubber has a tremendous amount of experience with products specifically designed to operate reliably throughout the mill. We utilize advanced elastomers with a highly engineered construction to provide performance expansion joints that stand up to even the most demanding applications. 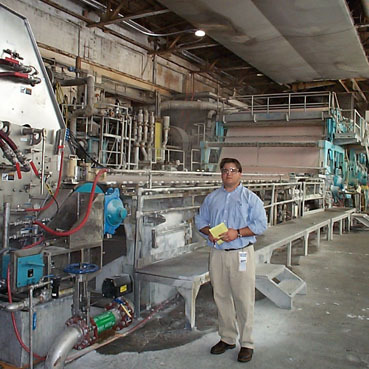 General Rubber is proud of its history—over 65 years—in manufacturing rubber expansion joints for demanding markets like the pulp and paper processing industry. The pulp and paper industry requires robust, heavy-duty products that withstand tough applications. Our performance products set the standard for zero leakage and maximum service life across many industries and sectors. For information on optimizing your piping system in new construction projects, see our BPPO page. If you are interested in improving the reliability and efficiency of your current facility, see our PREP page. If you have any questions about our products or available services, please contact us.